Veggies Rule: Are We Killing Our Kids? This morning I came across an article on TreeHugger, well, actually it was the photo (shown here) that grabbed my attention. Why, why, why do we have such obesity? Well, I do know why but I just can't get my head around the fact that the food industry is killing our children and not being made accountable. They seem to take great delight in blaming the parents but, in my opinion, so many parents have no concept of what is or isn't nutritional…I mean, take a look at the eating habits of the parents - the kids don't stand a chance. No, I put the blame squarely at the door of the food industry - fast foods - sugar foods - chemically enhanced foods - GM foods - the list goes on. I'm talking about the big boys here (that's the companies, not the obese). When people like Jamie Oliver and Michelle Obama get shot down in flames for trying to educate the everyday person it has to come down to one thing - money. We are killing our children in the pursuit of the mighty dollar! The stupid part about it is that there are many ways that we can satisfy the sweet tooth or make healthy burgers etc that kids would like. If we don't start now teaching the children about food and exercise now then we are letting ourselves into more trouble than we can conceive when they reach adulthood, that's assuming they live that long. When I see young children like the ones in the photo above my heart goes out to them. They obviously don't climb trees or ride bikes or run around out doors and what will their health be like at the age of 15 or 20 or 25? 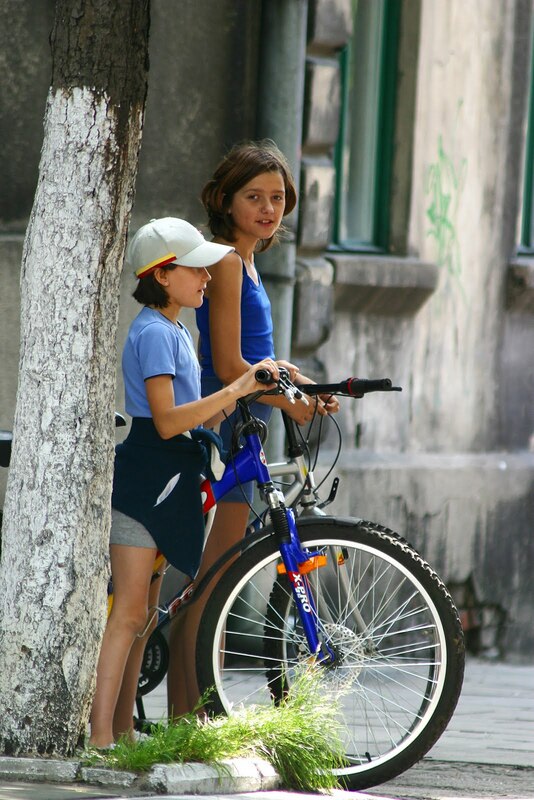 Very different to the two children with the bikes in this photo! 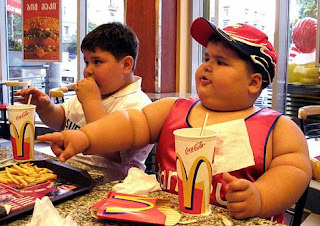 What does the future hold for these innocent children - the food industry needs a good kick up the ………. and we need to take back the control.